November 20, 2014 | 4 p.m. Renew Partnerships recently visited campus to facilitate discussions about helping Bethel become a Christ-centered multicultural community. 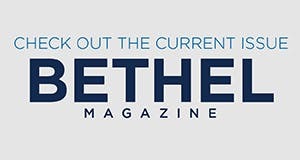 Bethel University recently worked with ReNew Partnerships, an organization that supports leaders of universities, churches, and ministries in their efforts to build healthy, biblical, multicultural organizations, to help Bethel grow toward becoming a Christ-centered multicultural community. To help inform ReNew’s visit, the Bethel community participated in a survey to gauge sentiments and impressions about past and current initiatives around diversity. The results of the survey shaped ReNew’s recommendations to the President’s Cabinet to build a multi-cultural community. 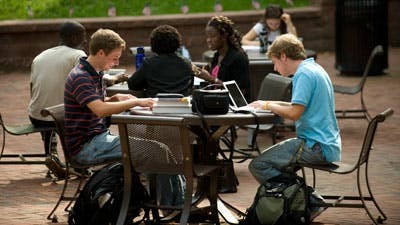 Suggested action steps involve training and dialogue opportunities, including biblical foundations; clearly defining and communicating desired outcomes; emphasizing campus-wide ownership; and repeating the survey in one to two years to measure progress and to pursue broader participation, especially among students.